Browse our selection of board games for sale! 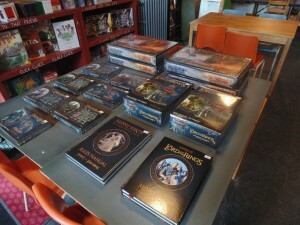 We’ve got an expanding collection of board games for all your adventuring needs. We stock a variety of dungeon crawlers and other hobbyist titles at competitive rates. Perfect for family board game nights, or dedicating a weekend to a over-arching campaign. Please note, we are not a board-game cafe, you are more than welcome to use our tables, however, all of our board games are for-sale only. Brantford’s only Games Workshop and Warlord retailer! 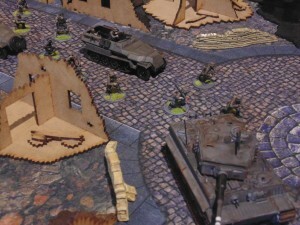 We’ve got a wide array of paints, models and books for the popular wargaming systems and every weekend, we run games on our tables. With community-made terrain and an awesome, supportive community, we’re always looking for new players to chuck some dice! Weekly events and the city’s largest selection of singles! 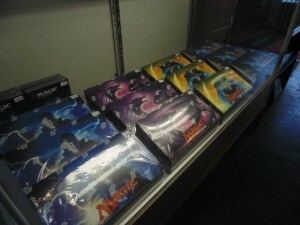 As many weekly events as we can handle, the store is home to Brantford’s growing MtG community. With weekly sales and binders full of unique singles, our shopkeep is well educated in deck-building and collecting. We’re WPN sanctioned too, so make your matches count!